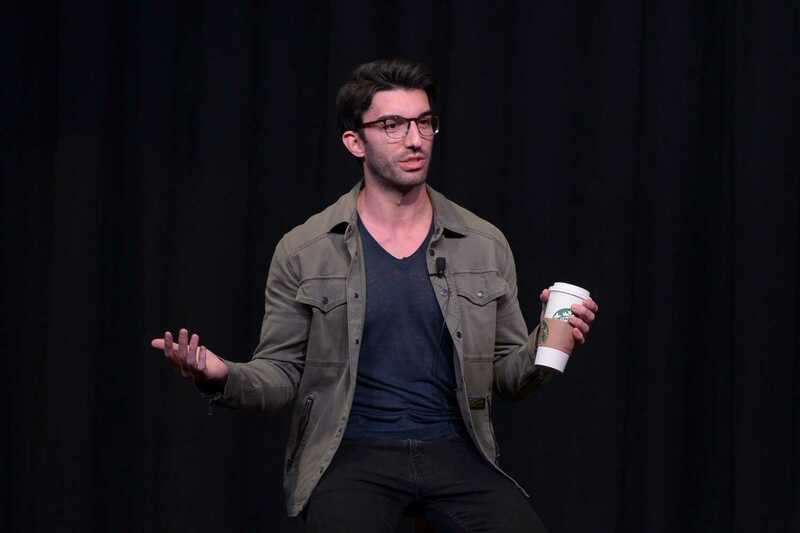 Justin Baldoni is a self-proclaimed feminist of the 21st century. The American actor, director and filmmaker gave a talk about building female empowerment through redefining masculinity to a packed crowd — which included his mother — to continue Women’s Empowerment Week Tuesday evening in the William Pitt Union. Pitt Program Council partnered with Pitt FEM to host Baldoni and ushered students in from the standby line as the Assembly Room filled to capacity. Baldoni began the night by applauding the small handful of men in the room who attended, but recognizing that the lack of a male presence was precisely the larger issue at hand. He said while he advocates for women’s rights and a change in the growing culture of sexual assault and discrimination, his work is primarily aimed at transforming men into allies in this struggle. Baldoni said he realized in his 20s how his perception of his own masculinity had been constructed, and saw how it affected his and others’ attitudes toward femininity. He said he had been taught growing up that his identity as a man was defined by his perceived strength, image and use of authority toward both men and women. In the Q&A — or “town hall” as Baldoni called it — that followed his talk, he encouraged audience members to ask about whatever was on their minds and hearts. One audience member who said she worked as a stage manager asked Baldoni about sexual assault in Hollywood and the ways in which the #MeToo movement can work to create an environment for women to be able to let their voices be heard about their experiences. Baldoni responded by acknowledging that #MeToo is applicable to all industries, and offered hope that the changes spurred by the movement will broker a stronger relationship of respect between men and women in the workplace. Krithika Pennathur — a junior triple-majoring in gender, sexuality and women’s studies, English writing and history — asked about the suppression of women’s voices in sharing stories of assault and discrimination. She appreciated Baldoni’s answer, where he described his own failure when he reacted with skepticism about news of a woman accusing a friend of his of sexual assault. Most of the attendees, including junior environmental studies major Roslynne Ravy, appreciated a male speaker despite the focus of the week on female empowerment. Farrell Healy, PPC’s public relations director, said her committee was concerned about hosting a male figure, but it was out of their hands since this was the only date they could book Baldoni for. Baldoni himself said both genders are vital to uplifting women’s voices and should work as tools to achieving this, not as barriers.